Washing your face can feel like a chore, but it’s an important step that forms the foundation of every successful skincare regime. When our epidermis produces sebum, or oil, it sits on our skin to protect it from external elements. If not managed through regular cleansing, that buildup of oil, debris and bacteria can block pores, irritate skin and lead to breakouts. “What you want to do is cleanse that away so the natural process is that the next oil can come out,” says Allison Hegedus, president of Vida Spa in Vancouver and Whistler, B.C., and a graduate of the Faculty of Applied Health and Community Studies at Sheridan College. 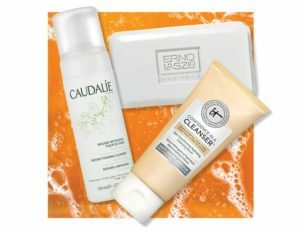 To maximize your investment, Hegedus recommends finding a cleanser suitable for your skin type – milky or creamy for dry and sensitive skin and foaming or gel for oilier complexions – and avoiding anything with irritating or drying ingredients like alcohol. Happy washing!